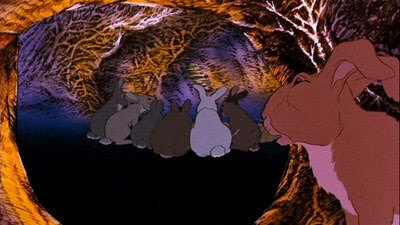 Watership Down: a mysterious, mature animated movie about a society of rabbits abandoning their warren in search of a new home; a flight from danger through a world that's expansive, pastoral, and deceptively hazardous... like many films of great journeys, it's partly driven by the rhythmic contrasts between security and unease. The contrasts in setting are striking: at times the environment becomes outwardly dangerous and forbidding, as when the rabbits struggle to cross a river ahead of a dog, or when they infiltrate a farm to find the captive Does in a shed. At other times, there are stretches of calm: the safety of the field of flowers, the serenity of the new warren on the top of a hill. The contrast between the calm and the chaotic is what allows the filmmakers to play with our expectations: in Cowslip's warren, the sense of safety is undermined by the submissive treachery of the domesticated rabbits, who are being bred as a food supply. This narrative rhythm, from danger to safety to danger, is repeated in virtually all "epic journey" stories. McCarthy's The Road, both The Hobbit and the Frodo story in Lord of the Rings, and Easy Rider all share this flow. 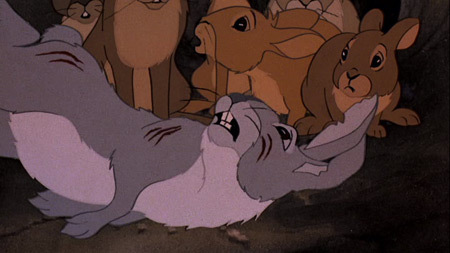 One film in particular seems especially relatable to Watership Down, though it may not seem obvious at first. This is Charles Laughton's Night of the Hunter, one of the most unique and effective films to come from the film noir tradition. Night of the Hunter is about a family with a secret stash of dirty money, infiltrated and taken hostage by a criminally insane preacher after the death of the family patriarch. To escape from the murderous preacher, whose name is Harry Powell, the two young children of the family have to travel down a river in the middle of the night. Their only hope for sanctuary is with a pious old woman waiting for them at the end of their nocturnal drift. These films seem to take place in the same natural world, draped in shadow and unsympathetic to the travelers' fragile lives. It's an empty, solitary sprawl, its folds concealing minor mysteries and dangers: a snare, a chorus of frogs, a hunting dog, an alluring stranger. This isn't the blind, deaf, hostile wilderness of Into the Wild and Grizzly Man, but it's also not peaceful or harmonious; if anything, it's a restless spiritual plane that gives shape to the journey undertaken by our protagonists. The woods are dangerous, but when there's something even more dangerous approaching from behind, their indifference becomes a protective force. If you're sensitive to this sort of thing, you may notice that the environment -- "nature," if you will -- is given its own visual identity in Watership Down. Unlike the rabbits, animated in classic cell-based pen and ink, the environment is painted in broad strokes and textures, a landscape from the tip of a brush. This gives it the subjective beauty of impressionism, the hazy sense that it's a product of a particular eye at a particular moment, only taking on as much perfection as the point of view allows. 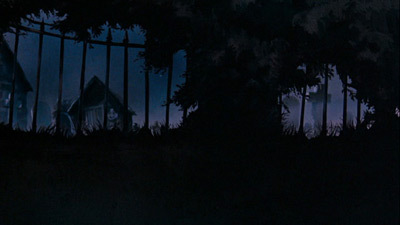 The third dimension is created by panning foreground and background layers across one another... a technique used even today in live action films, where backgrounds are often constructed from layers of matte paintings panning over one another. Had the current digital technologies been available to the Watership Down filmmakers, they could have added some simple touches, like parallax and perspective and enhanced lighting. One wonders how different it might have looked -- perhaps breathtaking, even by current standards of animation, or perhaps too stylized, too post-produced. Modern animation lacks the gesture associated with fine art, a strong asset that seems to have faded after the classic era of animation: Ralph Bakshi, Yuriy Norshteyn, and the film currently being considered. As it is, there's something quaint, but beautiful, in the self-aware simplicity and inconsistency of its visual treatment, and perhaps this isn't a thing to be improved upon, so much as a thing to be celebrated, a masterpiece of craftwork in an era of fabrication..
One of the defining tonal features of Watership Down is that it takes the spiritual realities of its protagonists absolutely seriously. 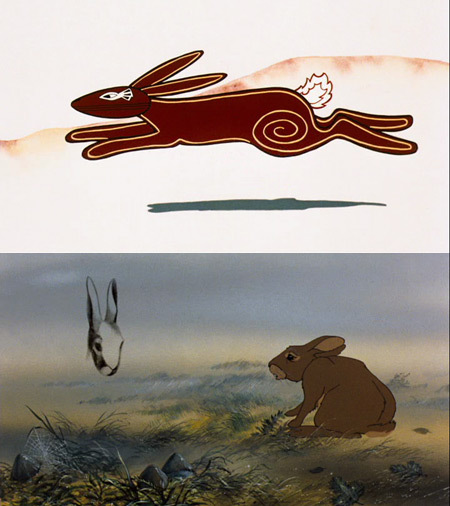 The film is built around certain events where the rabbits are touched by spiritual knowledge, from the genesis sequence that introduces the film, to the events that initiate the rabbits' exodus... Fiver's revelations looking over the field... through his later visions of danger, death, and deliverance... and to the eventual conclusion, which goes far beyond the particular journey of the warren and instead respects the total spiritual journey of one of its members. It's particularly interesting to see that the film's spiritual trajectory has it start with the birth of the world, and of the whole protagonist species, and end not with the death of the species, or the completion of the main conflict, but rather with one particular individual's final transition. This movement, from general to specific, gives a sense of the universal to the grand narrative arc. This dialectic -- between the epic migration and the personal journey, between nature as force of frustration and nature as guide and protector, between the pastoral serenity and the hazardous microcosmic wilderness -- is what gives the film its scope and credibility, and makes it a potently intimate account of a sweeping adventure. 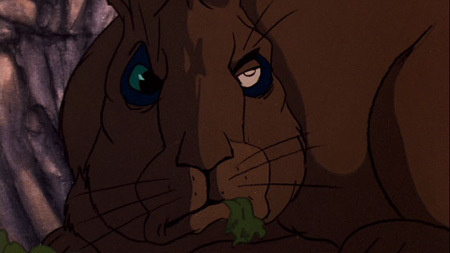 Watership Down is a complex film, invoking romance and adventure, spiritual transition, and drama and tragedies that's very human, considering it's being played out by rabbits. One of its most important meta-messages is that every life is lived on its own scale, and it deserves to be measured as such. In a certain way, all great stories are the tales of families, traveling across a province, looking for shelter and stability in the face of an inherently chaotic world. The articles on your website are very useful. Let's continue to grow it. And visit my news site if you want more information about movies, news about the latest cast, the best movies. Thank you.